Super Savings Item! 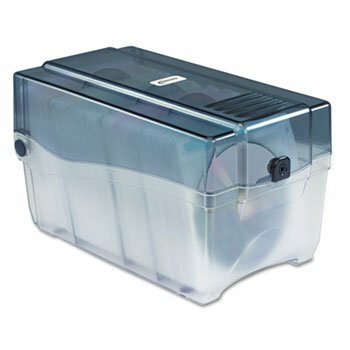 Save 35% on the Innovera - CD/DVD Storage Case, Holds 150 Disks - IVR39502 by Azure at Home Entertainment Centers Online. MPN: IVR39502. Hurry! Limited time offer. Offer valid only while supplies last. Safeguard CDs and DVDs with this sturdy storage box that features a plastic key lock. Included fabric-lined sleeves protect discs from scratches. If you have any questions about this product by Azure, contact us by completing and submitting the form below. If you are looking for a specif part number, please include it with your message.